John Barber was born in Yeovil in 1814, the younger son of John Barber (1756-1836) and Elizabeth née Best (d1847). John was baptised at St John's church on 12 October 1814. His father was probably the John Barber recorded in the Churchwardens' Accounts of 1780 for work carried out as a pavier. In the summer of 1847 at Yeovil he married Maria Tilley (1815-1879) the daughter of John and Ann Tilley of Hatch Beauchamp. John and Maria were to have a large family of nine children; John Tilley (b1848), George Herbert (1849-1885), Maria Ann Tilley (b1851), Ebenezer Samuel (b1853), Sarah Bly (b1854), Robert Phelps (1856-1921), Hephzibah (b1857), Beulah (1857-1883) and Joseph (1859-1885). In the 1851 census John and Maria were listed living in Stoford, just south of Yeovil, with two infant children, his niece and a servant. John gave his occupation as 'Fellmonger employing 3 men, 2 boys and 7 women'. In the 1861 census John and Maria together with their nine children were living in Preston Road at Providence Cottage, immediately west of the cemetery. John Snr listed his occupation as 'Fellmonger employing 3 men and 1 labourer' while John Jnr, age 13, gave his occupation as 'learning to cut gloves'. It is probable, although not certain, that John built a tannery and glove factory on the parcel of land on which Providence Cottage stood (Parcel 1464 of West Field). The factory, complete with tanning pits, consisting of two nearly parallel ranges of buildings on a north-south axis to the rear of Providence Cottage. As a sidenote, after John's death the factory / tannery was converted by James Newis into a flour mill known as Newis' Mills. in the Post Office Directory of 1866 John was listed with three separate entries - as a Fellmonger, Glove Manufacturer and Gaiter Maker of Preston Road. The family were still listed at Providence Cottage in the 1871 census; John gave his occupation as 'Fellmonger Tanner employing 5 men, 6 women, occupier of 2 acres of Orchard'. His son George was a glove cutter and gaiter maker, daughter Maria and his sister Maryanne were also gaiter makers. Maria died in 1879, aged 64. John was listed as a Fellmonger in Whitby's Yeovil Almanack Advertiser of 1882. He probably retired very shortly thereafter since the 1886 Ordnance Survey noted the tannery as 'Tannery (Disused)' and he was listed as a 'Retired Fellmonger & Tanner' in the 1891 census. He was still living at Providence Cottage at this time with his daughter Hephzibah, now aged 33, acting as his housekeeper. Also living in the cottage were two of his grandsons, John and Joseph, both aged 16. John Barber died on 15 September 1894, aged 80. His will was proved at Taunton the following May and his effects were assessed as £465 5s (about £340,000 at today's value). 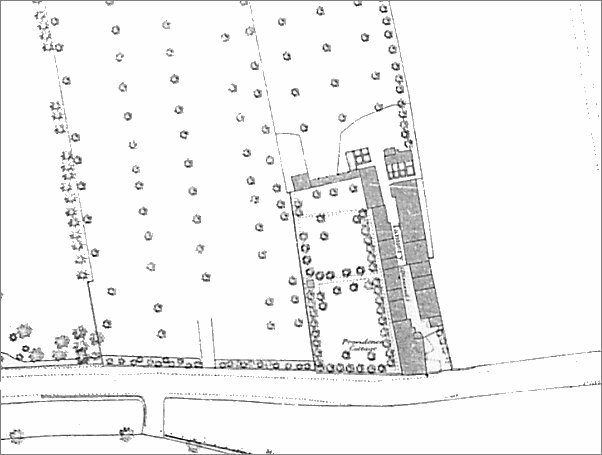 Map based on the 1886 Ordnance Survey showing Providence Cottage with its end wall on Preston Road (running across the bottom of the map) and John's tannery running north at right angles to the road. On this map the mills were marked as 'Tannery (Disused)' indicating that John was long-since retired. This photograph was taken in the 1960s and looks west along Preston Road and the road running off to the right is newly-constructed Willow Road. The three-bay house end-on to Preston Road with a corner shop in its left-hand side is Providence Cottage. John Barber lived in Providence Cottage with his family certainly from 1861 until his death in 1894. The building at right was originally John's glove factory and leather tannery but converted into a flour mill known as Newis' Mills after his death. 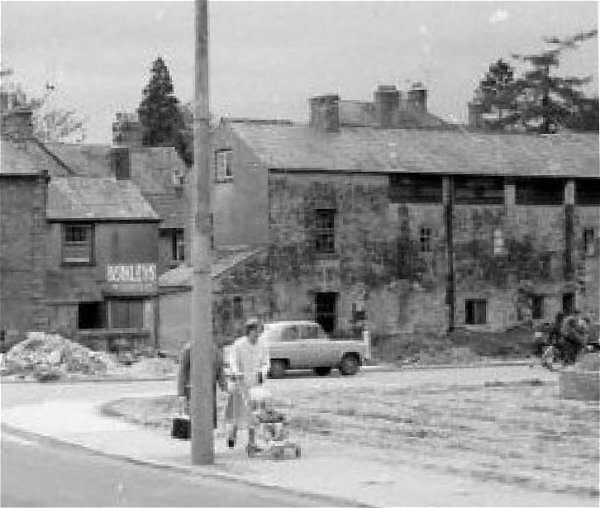 Both cottage and mills were demolished shortly after this photograph was taken. An enlargement of the previous photograph showing the glove factory / tannery most likely built by, but certainly owned and operated by John Barber.